To make your first moment with Twitter by using many of your backdate tweets, you need to click on the “Moments” tab. Though this would work only on the desktop site of Twitter, it is expected that this feature will soon be available on mobile phones as well. When you open the tab, you will see an option – “create a Moment” on the right side of the page. Tap on the same and you will proceed to the next step. Now you will get a palate of options, which would allow you to add description, cover and title to the Moment. It is recommended to keep your title short yet descriptive. It should tell the users about the content of the “Moment” that they are going to see. You are also allowed to choose photos, videos from previous tweets to be added as cover or a selected image can be uploaded. See also: 10 ways to increase your Twitter Followers. After that you can add variety of content to the moment you want to look like as your desired outcome. Though there are different options while selecting your tweets, the one’s you have favorite or from a particular twitter handle, you can also do it via twitter search or directly add the tweet’s link to it. When you’re done with the selection process and is in sync with the story-telling of your Moment, tap on publish to share it across the network. While including images, videos, Vines or GIFs to keep the audiences engrossed, please make sure the tweets are not more than ten or twelve tweets as it can get a bit longer or cluttered for the viewers. See also: How You Can Buy Twitter Followers? The Moment you publish your Moment, share it with all your followers and keep it brief for them to view. 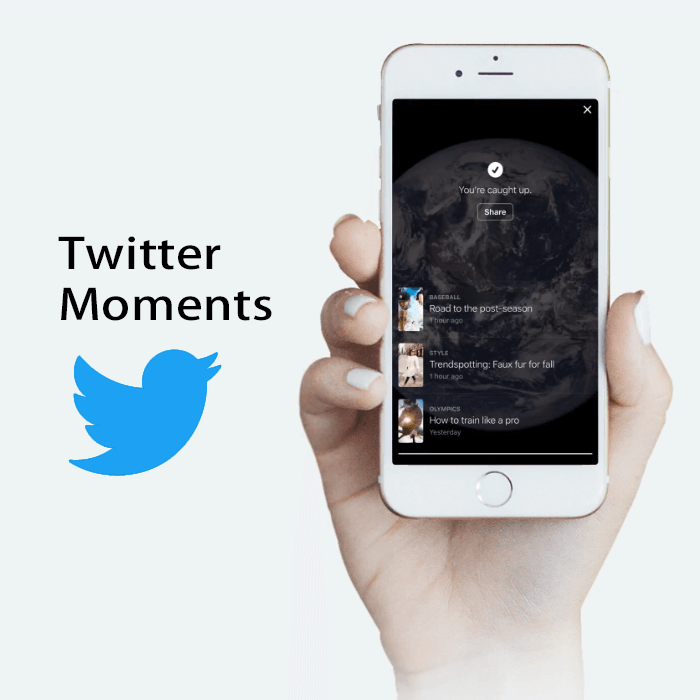 You can also go to the Twitter’s navigation to add visibility to Moments. You can transform Tweetstorms into Twitter moment, which means when few tweets are posted in quick progression regarding a specific topic. Moments can turn around these scattered tweets into a well-carved sequence. This basically helps the views to catch up with the tweets they missed out and gives it an appealing look for the viewers. Go behind the scenes, this implies that you offer insight and present human element exists in any business activity. You can share such inspiring stories behind the ideas and workings of a business. Convert timely news into a Moment that can go viral if it covers a trending topic and shared at the right time. Also, it has become a new way for the companies especially for launching a new product as it can briefly show a demo of your product by using a variety of visuals effects.